Outside of Europe, fennel is still an under-utilised vegetable, however it is gaining ground propped up in local supermarket aisles amongst the potatoes, green beans and carrots. The great thing is that you’ll always be able to find fennel in boutique grocery stores, health food shops and at farmer’s markets. Having grown up with this vegetable, I could write an entire book based on fennel recipes that span the seasons from winter through to summer. It’s extremely versatile especially when married with other ingredients. The aniseed is subtle and doesn’t overpower other tastes but rather enhances and brings out the flavours of what you’re serving it with. I’ve coupled fennel with other vegetables, pasta, rice, fish, chicken, lamb, pork and kangaroo and each time the fennel adds another layer and zing to the meal. In this recipe, the fennel is served with Barbecued Ocean Trout as an accompanying sauce with a side of Roasted Balsamic Mushrooms. The combined floral and smoky tastes of the fennel, trout and mushrooms sit perfectly with a bottle of chilled Paul Mas Sauvignon Blanc. 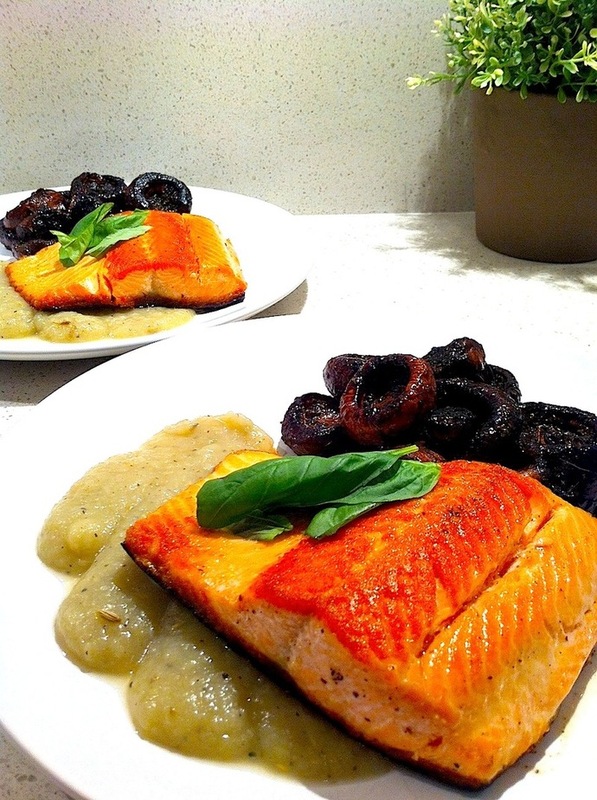 Barbecued ccean trout served with fennel puree and roasted balsamic mushrooms. Fennel is still an under utilised vegetable but is gaining in popularity. Dice the fennel and potatoes. Place vegetables in a pot add the water and vegetable stock. 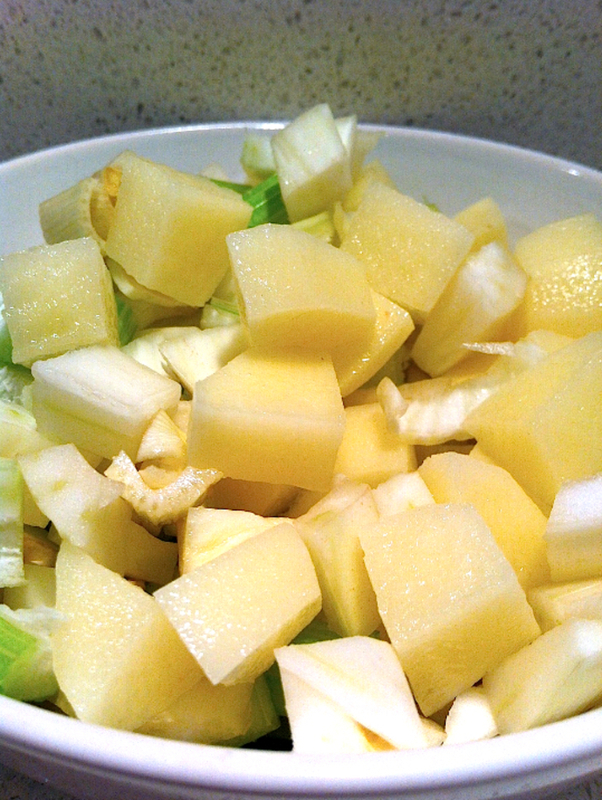 Add vegetable stock to the fennel and potatoes and bring to a boil. 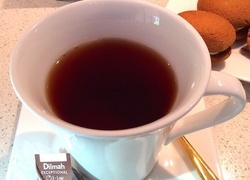 Bring liquid to the boil, reduce heat slightly and simmer vegetables until tender and the stock has completely reduced. If you find you have excess liquid, decant some of the vegetable stock into a jar. 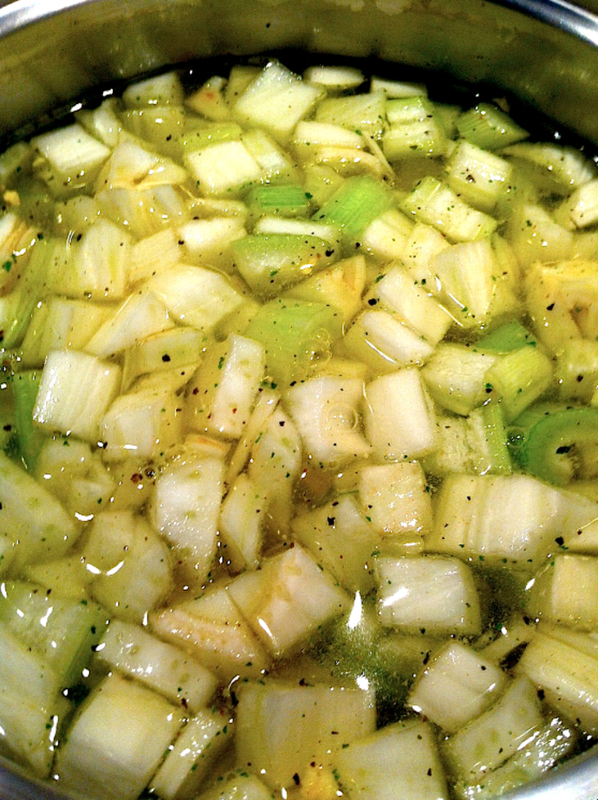 You can then use the fennel and vegetable stock for other recipes. Add pepper and fennel seeds to taste. Simmer vegetables until liquid all the liquid has been reduced. 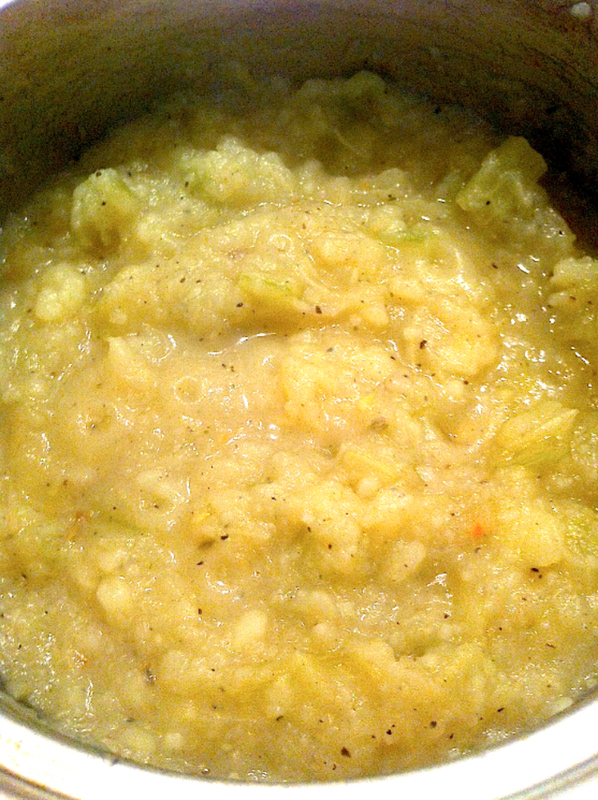 In a blender puree the fennel (it should have a sauce consistency – if too thick add some of the decanted vegetable stock OR water. Serve the fennel puree as an accompanying sauce and garnish with fennel seeds and fennel leaves. Fennel Puree garnished with fennel seeds and leaves. It can also be served as soup! Fennel is such a versatile ingredient - in this recipe Fennel Puree is teamed with Ocean Trout and Roasted Balsamic Mushrooms. 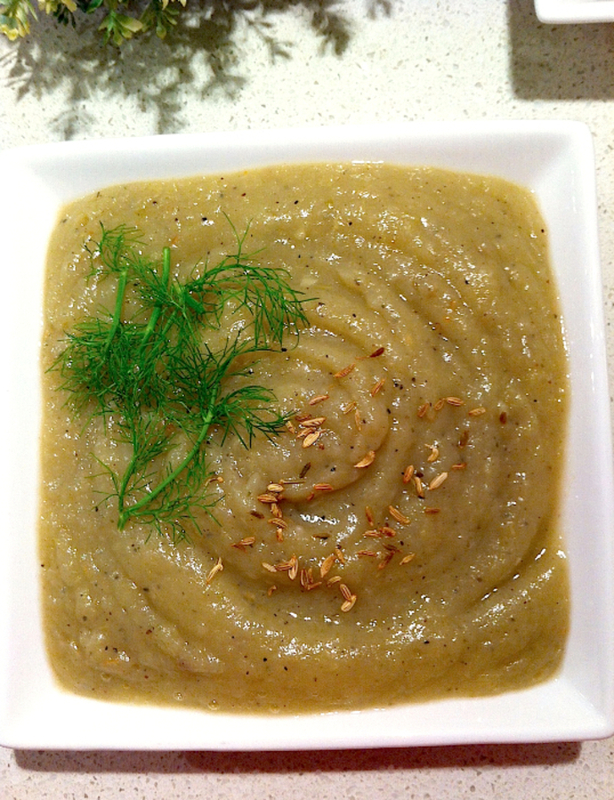 The Fennel Puree can also be served as soup with warm crusty bread. 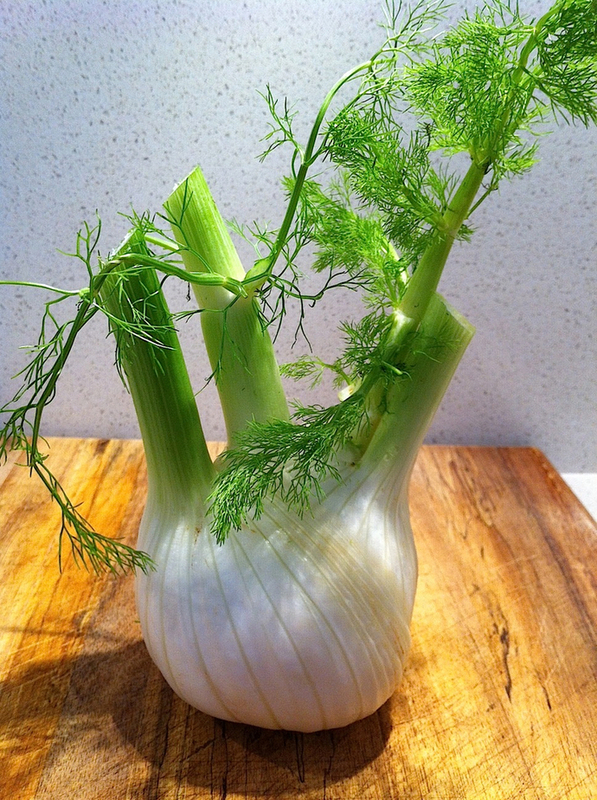 For more healthy fennel ideas try the following recipe ideas; Fennel Salad with Lemon Vinaigrette and Kangaroo and Fennel Pie.